Sure, there’s 2-4-1 cocktails and you get to find out about what’s been going on with Sally from HR, but at home there’s cheap wine and the latest episode of Doctor Foster. The perfect gift for your friends who love an excuse to knock back the drinks and let their hair down. 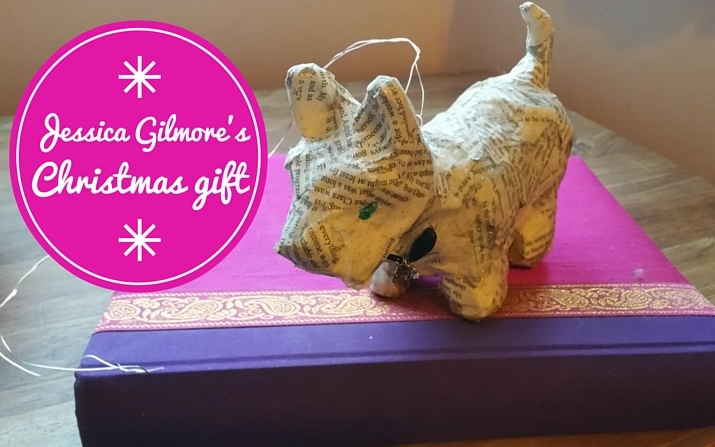 You can personalise the cover, as well as all the messaging inside which is bound to get your best friend laughing along. 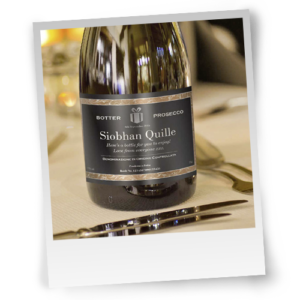 Give your girlfriends a bottle of Italian prosecco with a fun personalised label! Once the bubbly is all gone, they’ll have a charming vase as a keepsake (and a subtle reminder of you). There’s something about drinking from a cocktail glass that makes us feel like 1920’s flapper girls. 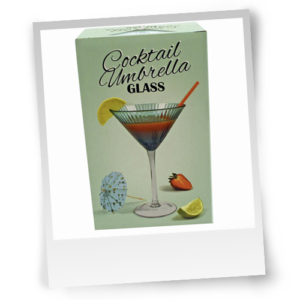 Replicate that sophisticated feeling with friends and treat them to the oh-so-stylish cocktail umbrella glass (ribbed for her pleasure, ahem). This cocktail glass oozes retro flare! It’s the perfect way to drink a cosmopolitan, margarita, or just about anything alcoholic. 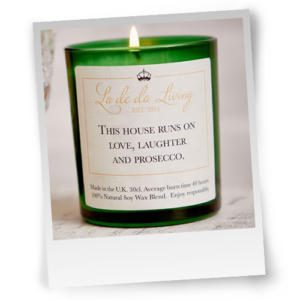 A triple treat in one glass, this candle combines love, laughter and prosecco (all the ingredients needed to keep anyone happy). With an average burn time of up to 40-hours, the mesmerising smell of vanilla and sandalwood will bring any room to life with its festive fragrance. Instead of smelling overpowering cologne and hairspray at a bar, your gal pals can add some sparkle to their night with the prosecco candle at home. Gin is a drink that never goes out of style. It has many practical uses, not just for your favourite happy hour drink. From gin lollipops to gin and lemon cake (it’s as delicious as it sounds), to eliminating wrinkles, gin is an all-round great beverage. That’s why every woman should know when the best time for a gin and tonic is. 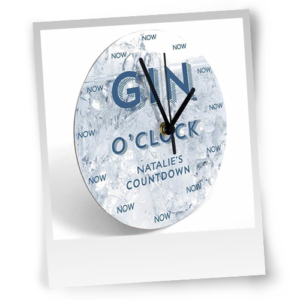 This Christmas, your friends will know that every hour will certainly be the happiest hour with the gin clock. We’re all familiar with the saying, ‘When life gives you lemons, make lemonade’, but we think this alcoholic stirrer has a better idea. 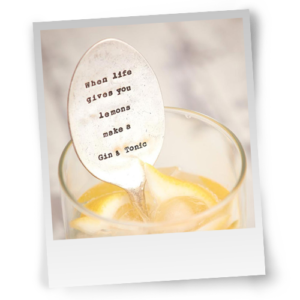 Vintage, and full of advice with every stir, the gin and tonic drink stirrer is portable, practical and perfectly acceptable to carry in one’s purse whenever the occasion calls for a cheeky drink. 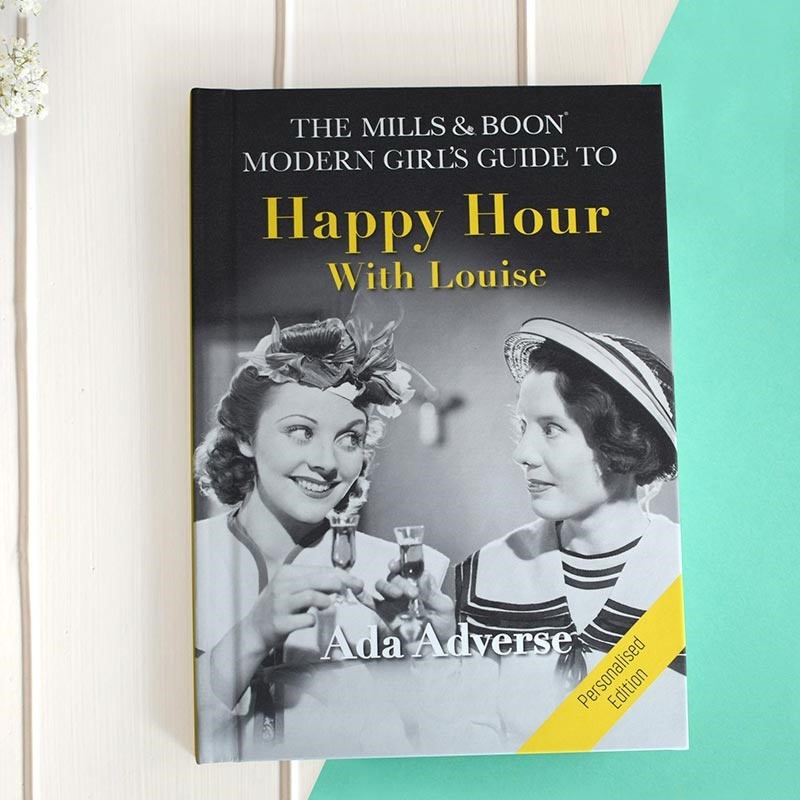 With such fantastic gifts to choose from, celebrating happy hour at home with friends has never been so much fun! 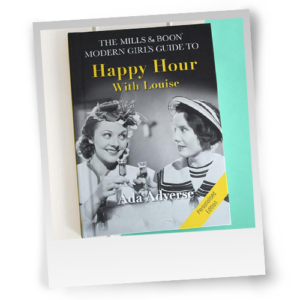 Here is some food for thought from The Mills & Boon Modern Girl’s Guide to Happy Hour: ‘Alcohol…doesn’t count towards your weekly tally if you drink it out of a teacup in front of Bargain Hunt.’ This will certainly make any TV show or film more interesting this Christmas….